TAK was formed by longtime friends and guitar players Mac Marshall and Eric van Staveren. Brandon Jackson brings a hard rockin' bass to the rhythm. They met drummer Aaron Skoy in 2010 and started laying down tracks. 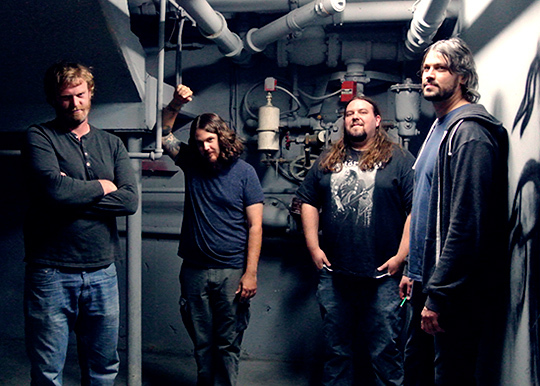 The band plays gigs in Salt Lake City, and tours through surrounding areas. 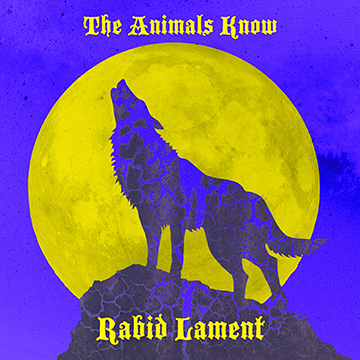 They also have plans to tour in 2014 in support of their new album, Rabid Lament. Eric and Mac have a driven style and sound. Brandon and Arron provide the energy, force and rhythm. They have been in several bands in Salt Lake City, but moved on to form The Animals Know. Their lives are expressed through their music, and they connect with new fans wherever their travels take them. Eric van Staveren has been playing guitar since he was seventeen. He's been in several bands in Salt Lake City including WeDK, The Weather Underground and The Fully Blown, the latter of which recorded a studio album in 2009. He has since moved on to form The Animals Know as lead guitar player and singer with longtime bandmate Mac Marshall. He lives in Sandy, Utah with his dog Lucy and his cat Suki. Mac Marshall was born and raised in Salt Lake City, Utah. Music has always been a significant part of his life. In middle school he played in the Symphonic and Jazz bands as section leader of the low brass section. He got his first guitar at the age of seventeen. He has played in several Salt Lake City bands including The Weather Underground, WeDK, and The Fully Blown. In 2010 he formed The Animals Know with longtime friend and bandmate Eric van Staveren. Brandon Jackson plays a mean bass guitar. He was born and raised in Salt Lake City, Utah. He got his first bass at the age of 15 and has been holding down the low end ever since. He can also play several other musical instruments and has a solo heavy metal/experimental project which he calls "Barferella". Aaron Skoy is a drummer. Skoy's first real experience with percussion was the game Rockband. He was hooked, but soon grew tired of banging on plastic pads, so less than a month later he bought a real kit and went on the hunt for a band. He met Mac Marshall and Eric van Staveren at a local jam spot in 2010. The Animals Know albums are published and distributed by Midnight Records Productions. You can follow them on Facebook at facebook.com/TheAnimalsKnow, on Reverbnation at reverbnation.com/theanimalsknow, as well as find their music on iTunes.